An interdisciplinary survey of First Nations issues, from academic and community perspectives including indigenous knowledge, historical background, oral history, socio-political context, arts, language and culture. Specific practical examples will be explored by researchers and community members actually engaged in their contemporary documentation and resolution. Students will be introduced to the basics of the Lunaape (Delaware) language, a North American Indigenous language. Students will examine the relationships of that language to various culturally relevant concepts and historical experiences of the Lunaape people. Antirequisite(s): The former First Nations Studies 2253F/G taken Fall 2014 or Fall 2016. An introduction to the Caribbean and circum-Caribbean, emphasizing religion, aesthetic styles, current political processes, and relationships of the region and its peoples to Canada. This course examines key issues related to the history of Indigenous peoples in Canada. The time frame covers the pre-contact era to the 1969 White Paper. Topics may include: Aboriginal rights and title; treaty-making; colonial policy development; residential schools; relocation and centralization; child welfare; and the 1969 White Paper. Antirequisite(s): The former First Nations Studies 2217F/G, the former Anthropology 2217F/G. This course explores the critical challenges still faced by Indigenous peoples in Canada. The material covered will be timely and relevant, including: legal and political mobilization; jurisdictional authority and self-determination; land rights and treaty relationships; the Truth and Reconciliation Commission; and the Missing and Murdered Indigenous Women and Girls inquiry. Antirequisite(s): The former Anthropology 2218F/G. Extra Information: 3 hours. Students intending to apply for the Archaeological Summer Field Course in Peru are strongly encouraged to take this course first (Main). Introduction to the plurality of indigenous spiritual traditions in North America, and their diversity, complexity, and vitality. Included is an understanding of traditional ceremonies, cosmology or world view, creation stories and other narrative forms, cultural values, healers, and medicine. Special attention is given to Anishinaabe and Haudenosaunee nations. Prerequisite(s): Completion of any Arts and Humanities or Social Science 1.0 course. First Nations women have exercised considerable power and authority, both domestic and political, in their traditional cultures. Aboriginal women live within a value system that sees them as having a different but equally valid role in society. These values will be contrasted to those of mainstream Canadian society. Prerequisite(s): One of: First Nations Studies 1020E, Anthropology 1025F/G, Sociology 1020, Sociology 1021E, Women's Studies 1020E. Prerequisite(s): 1.0 course from Environmental Science 1021F/G, First Nations Studies 1020E, Geography 1100, Geography 1300A/B, Geography 1400F/G, Geography 1500F/G, Geography 2131A/B, Health Sciences 1001A/B, Health Sciences 1002A/B, Sociology 1020, Sociology 1021E, Sociology 1025A/B, Sociology 1026F/G, Sociology 1027A/B or enrolment in the Major in Ecosystem Health or in any of the Globalization Studies modules, or permission from the Instructor. First Nations peoples are the original inhabitants of Canada. This course will examine history recorded since European contact with all possible efforts to privilege an Aboriginal point of view and the contribution Aboriginal peoples have made and continue to make to Canada as a nation-state and as a cultural community. Prerequisite(s): One of Anthropology 1020 (formerly Anthropology 1020E) Anthropology 1025F/G, First Nations Studies 1020E or History 1401E. An examination of the culture and history of the Iroquoian Peoples from European contact to present day as presented by historical and contemporary writings and interpretation of events. Students will use a combination of primary and secondary sources drawn from both Iroquoian and Non-Iroquoian traditions. Special topics of current interest in the First Nations. List of special topics may be available in the Program office. Prerequisite(s): Registration in any third or fourth year program with approval of the Director. Special topics of interest in First Nations Studies. List of topics may be available in the Program's office. This individualized reading course allows students to focus on a topic relevant to Indigenous peoples in Canada. Each student must make arrangements with a Professor in the First Nations Studies program. An application must be completed with approval from the Instructor and the Director. Applications are available in the First Nations Studies office. Prerequisite(s): Registration in any third or fourth year program with approval of the Director and a minimum 80% average. Extra Information: Hours to be arranged with the Instructor. Indigenous knowledge, as a distinctive field of study, is emerging as an important tool in the movement toward self determination and empowerment. This course will examine Indigenous beliefs, ways of knowing, and worldviews to understand their differences and similarities, while exploring contemporary expressions through a variety of sources and interpretations. Prequisite(s): Any course in Arts and Humanities or Social Science and registration in third year or higher. In this interactive course students will learn the theoretical and practical foundations for conducting research with Indigenous communities. Discussions will focus on the history of research with Indigenous peoples; ethics, especially as it relates to protocols for using Indigenous knowledge(s); Indigenous research models; research agreements; and data governance (OCAP Principle). Prerequisite(s): First Nations Studies 2213F/G, or the former Anthropology 2217F/G, or the former FNS 2217F/G. Antirequisite(s): Anthropology 3343A/B; Anthropology 3323A/B if taken in the Summer of 2016. Extra Information: lecture/field work, 3 hours, 0.5 course. Recommended for students in Anthropology or Linguistics. Students will learn basic Indigenous music philosophy and apply this knowledge through practical singing and performative experience while examining the philosophical disposition of Indigenous music. Students will come away from this course with practical experience and experiential knowledge of Indigenous music (traditional cultural or contemporary). Antirequisite(s): First Nations Studies 3001F/G taken Fall 2013, Fall 2014 or Winter 2016. 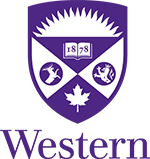 Prerequisite(s): 1.0 course from First Nations Studies 2213F/G, First Nations Studies 2218F/G, History 2201E, History 2205E, Law 2101, Political Science 2103A/B, Political Science 2230E, Women's Studies 2260, the former Anthropology 2218F/G. North American aboriginal texts in English. The course may include a variety of genres, including oral traditions, narrative, poetry, drama, and film. Antirequisite(s): English 3680F/G, the former English 3880F/G. Prerequisite(s): 1000-level English or First Nations Studies 1020E. Special topics of current interest in First Nations Studies. List of special topics may be vailable from the First Nations Studies office. Prerequisite(s): Registration in any fourth year program with approval of the Director. Extra Information: 3 seminar/lecture hours. This individualized reading course allows students to focus on a topic relevant to Indigenous peoples in Canada. Each student must make arrangements with an instructor in the First Nations Studies program. An application must be completed with approval from the Instructor and the Director. Applications are available in the First Nations Studies office. Prerequisite(s): Registration in fourth year First Nations Studies with approval of the Director and a minimum 80% average. An advanced seminar course combining in-class discussions of theoretical texts, research papers alongside community-based research. Students will be trained in appropriate methodologies and ethics of working with First Nations Communities. Areas of research and instruction may include land claims, self-government, education, health care, and urban issues. Prerequisite(s): Registration in third or fourth year First Nations Studies with a minimum 70% average. Extra Information: 3.0 hours seminar/field school (practicum). This is an advanced community-based experiential course that combines in-class discussions with community based research. Students will train in methodologies and ethics of working with First Nations communities. Areas of research may include but not limited to ecological restoration, land claims, self-government, education, health and wellness and urban issues. Antirequisite(s): Geography 3000Y, Geography 3001F/G. This advanced course examines the critical issues and tensions of doing research with and for Indigenous peoples.. Themes will include Indigenous methodologies (including but not limited to oral histories), and decolonizing research. Prerequisite(s): Registration in any third or fourth year program.